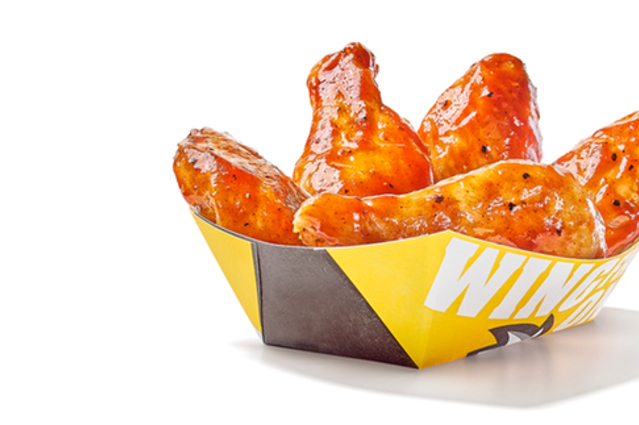 Buffalo Wild Wings introduced a pumpkin spice BBQ sauce on its wings during the autumn season this year. If you thought the pumpkin spice craze was bad already, think again. The flavor has spread to not just any and all sweet foods you can think of, but to the savory, too. Now, Buffalo Wild Wings has introduced a new line of spiced and nutty wings for the autumn season called the BBQ Pumpkin Ale Sauce. The sauce was introduced on October 1 and will only be available for a limited time, according to the company website. You can get it slathered on traditional and boneless wings. Apparently the wings have gotten some good reviews on social media this month. But we're skeptical. Know of any other foods flavored with pumpkin spice that really shouldn't be? Let us know. This is a story worth following as far as I'm concerned.